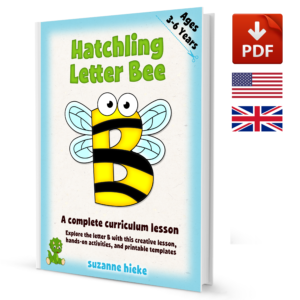 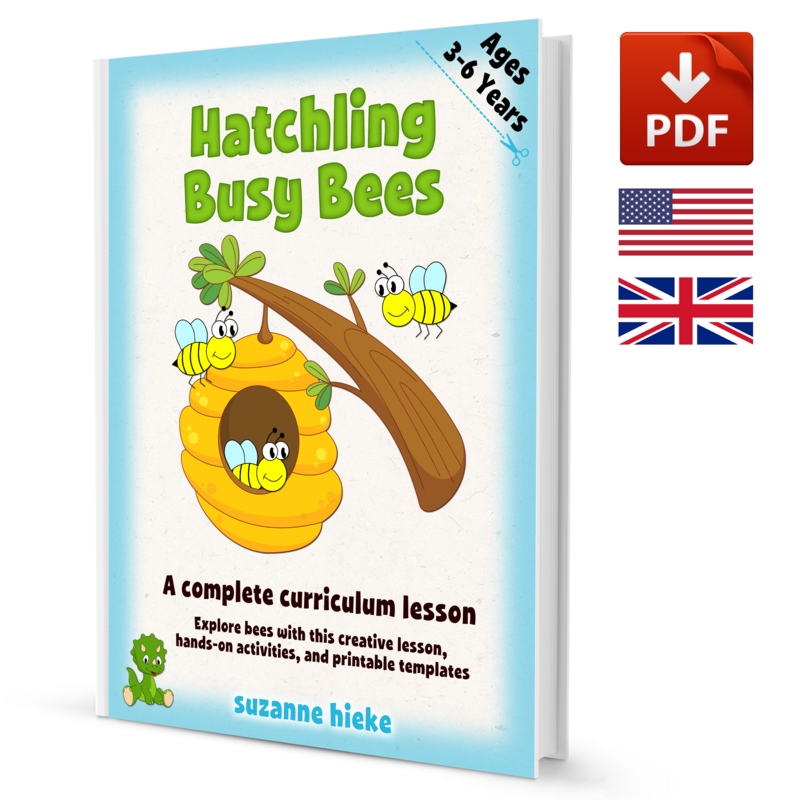 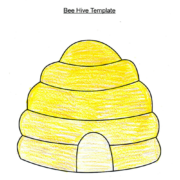 Bee Lesson Plan: pre-writing and number bee activities for children ages 3-6. 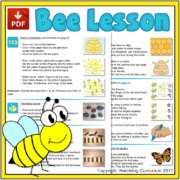 This lesson explores bees! 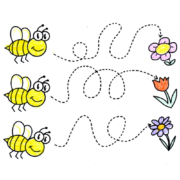 It introduces the concept that bees are pollinators and even though they are very small, they play an important role in our world. 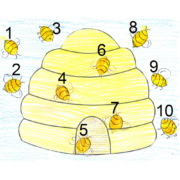 The fingerprint bee activity involves counting from 1 to 10 and will help the visualization of quantity. 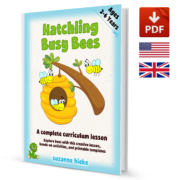 The book and song suggestions are a great way to improve language and learn new vocabulary. Have fun and explore bees! 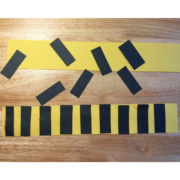 12 pages of creative activities combining math, language, art, science, and fine motor skills. • Create, explore, and discuss science: bees as pollinators, parts of a bee, and helpful and harmful insects in the garden. 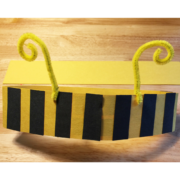 • Art and craft ideas include: making a striped bee headband, coloring a bee hive, and creating fingerprint bees.